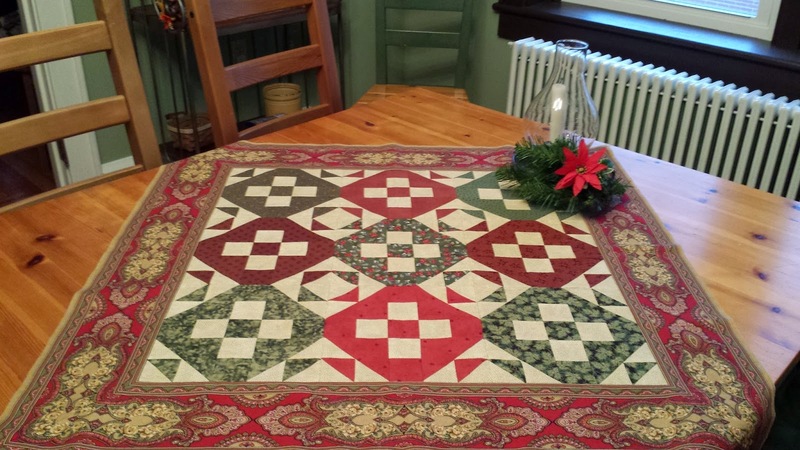 One of the newer patterns that I have added to my pattern shop on Craftsy.com is the Yuletide Floral Table Runner. http://www.craftsy.com/pattern/quilting/home-decor/yuletide-floral-table-runner/117656 This pattern is a free digital download. A little something to say Thank you for all of your support! This table runner can be used on your table or as a wall hanging. 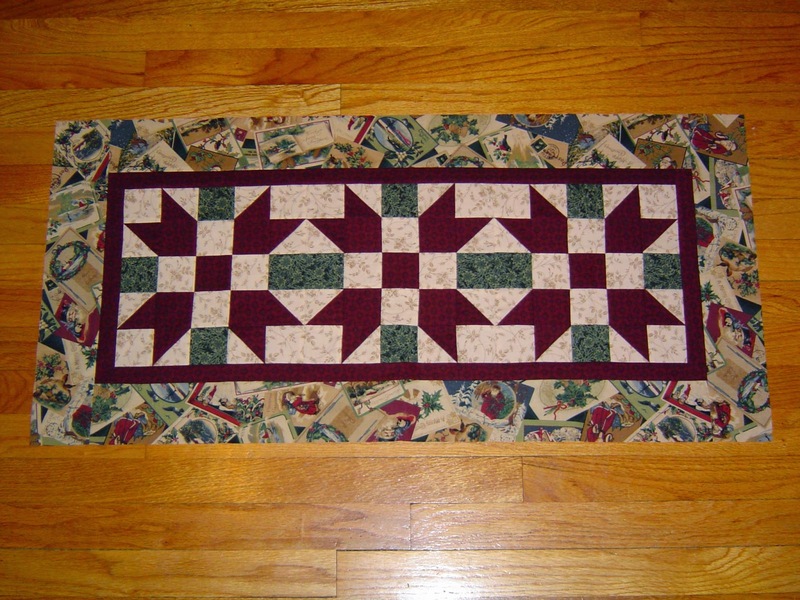 It is easily made using rotary cutting and quick piecing techniques. 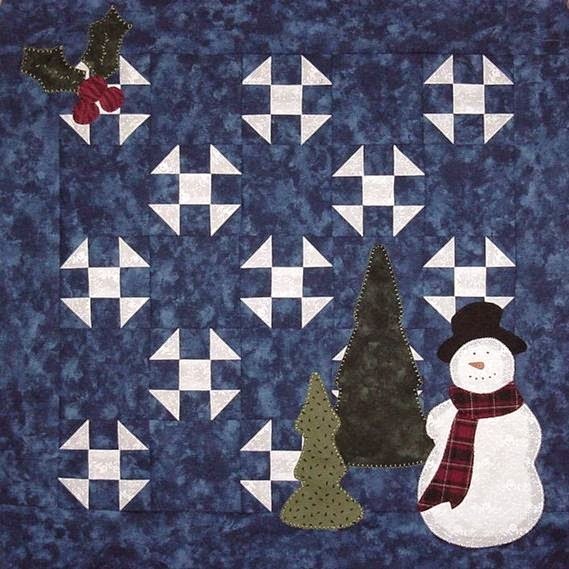 This quilt would also look great in colors to match your home or for any season. I now have 16 patterns on craftsy.com. I thought that I would feature some of them that would be great for this time of year. This quilt can be used for a wall hanging or would look lovely in the center of a table. It is easily made using rotary cutting and a simple half-square triangle technique. I also used a fusible web to do the appliques, which helped make this a quick quilt. I used a decorative feather stitch for the center of my holly leaves. I love how the little shoofly snowflakes just seem to be floating. This quilt is based on the traditional duck & duckling block. The Christmas Duck wall hanging is also based on this block. The looks are different depending on your use of color. It is lots of fun playing with different color variations. The Christmas duck wall hanging also features a mitered border. I decided to try a border stripe and love the way it turned out! This pattern contains directions for a larger quilt too. This tablerunner is easily made using rotary cutting and quick piecing techniques. It makes up so quickly that a friend of mine made about 10 of them for Christmas gifts. This quilt would also look great in colors to match your home or for any season. All of these would be great for display during the holidays or winter season. They also make great gifts!